A Hero of New Milton. Buried in the cemetery at St Mary Magdalene church, New Milton is a First World War soldier who was awarded the Victoria Cross. 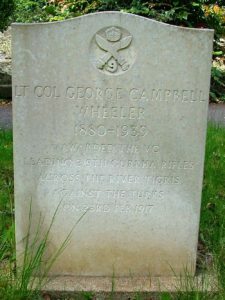 He was Lt Colonel George Campbell Wheeler. George Wheeler was born in 1880 in Japan. His father was Dr Edwin Wheeler, who after serving in Royal Navy as a surgeon, took up private medical practice in Japan. George Wheeler was sent to England for his education. 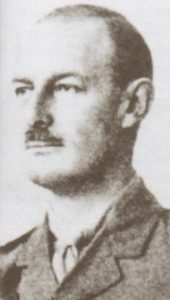 He attended Bedford Grammar School, Woolwich military academy and then Sandhurst. He was commissioned as an officer in January 1900 serving firstly with the East Yorkshire Regiment before joining the 2/9th Ghurkha Rifles in 1902. 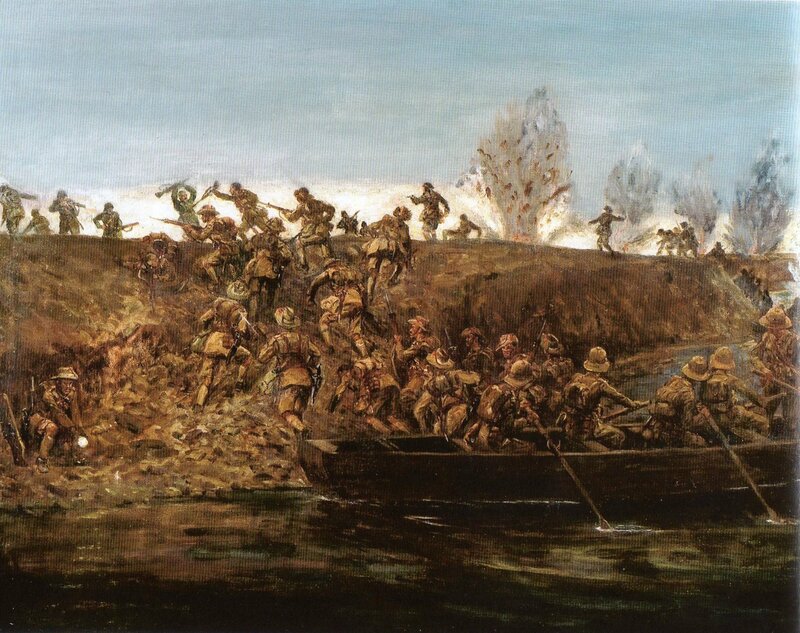 He was promoted Captain in 1909 and by the time the Regiment left India in 1916 for Mesopotamia (Iraq) he was a Major. 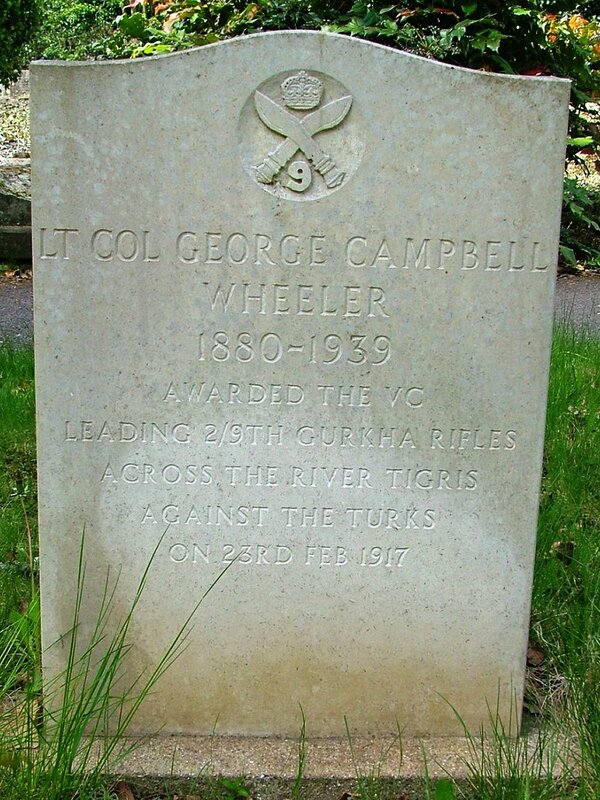 After the war George Wheeler continued to serve in the Indian Army retiring in 1922. On retirement he settled in Barton-On-Sea living at ‘Maryville’ Beach Avenue. He took an active part in local affairs. He was a keen supporter of the ‘New Forest Players’ and a member of the Conservative Club. He died on 26th of August 1938 at the Grove Nursing Home. He was buried at St Mary Magdalene churchyard. By the 1990s his grave had been vandalised and in 1999 members of Bedford school and the Ghurkha Rifles association replaced the stone. In 2008 New Milton Town Council agreed to take on the responsibility for keeping the grave up together. In the words of Councillor Goff Beck “We owe it to him and should be proud to have such a brave man living here”. 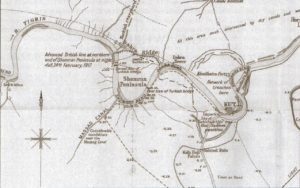 This is not the only connection New Milton has with VC recipients. In 1945 Captain Charles Upham VC and bar married his childhood sweetheart at the Catholic Church in Mount Avenue.